Do you love chocolate? Do you love God? If the answer to both questions are “yes”, then this book is for you. Whether you are a chocolate connoisseur or simply one who loves to bask in the rich aromas and flavors of the chocolate-enhanced life, you will love Becky Baxa’s new book. 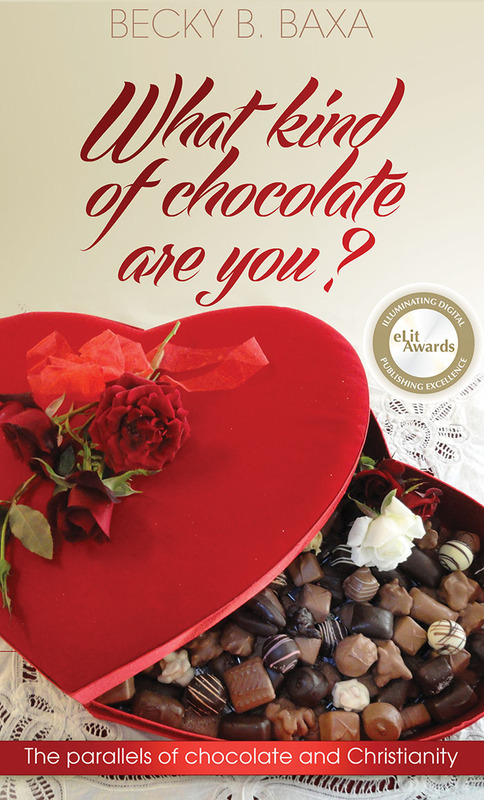 “What Kind of Chocolate are You?” will go with you through the journey of becoming a mature Christian and be an inspiration to strengthen your faith; challenging you to new heights through the reflections into your soul, and inspiring you to be sweetly delicious to God and others. Quantities of five or more copies of What Kind of Chocolate Are You? may be purchased from White Feather Press, by contacting the publisher, Skip Coryell at: http://whitefeatherpress.com; skipcoryell@hotmail.com; Phone: 269-838-5586.